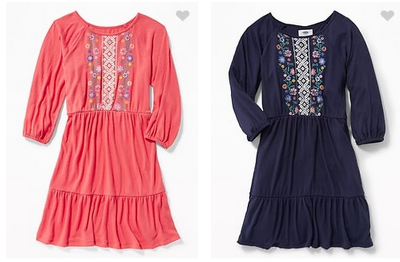 Old Navy is offering great deals on dresses today! You can get women’s dresses for $9.60 and girl’s dresses for $8. Use the code SWEET to get the deal. Don’t forget to use your Super Cash if you have any. This sale is valid today, 4/11, only. Shipping is FREE with orders of $50 or more.